Dementia is an umbrella term for a number of debilitating brain conditions that cause a decline in memory and motor function. Contrary to popular belief, it is not a normal part of aging. Dementia commonly affects people in the later years of life, but signs can also be present as early as 40. There is no known cure for dementia, but with the right ca re and medication, some comfort can be provided to sufferers. 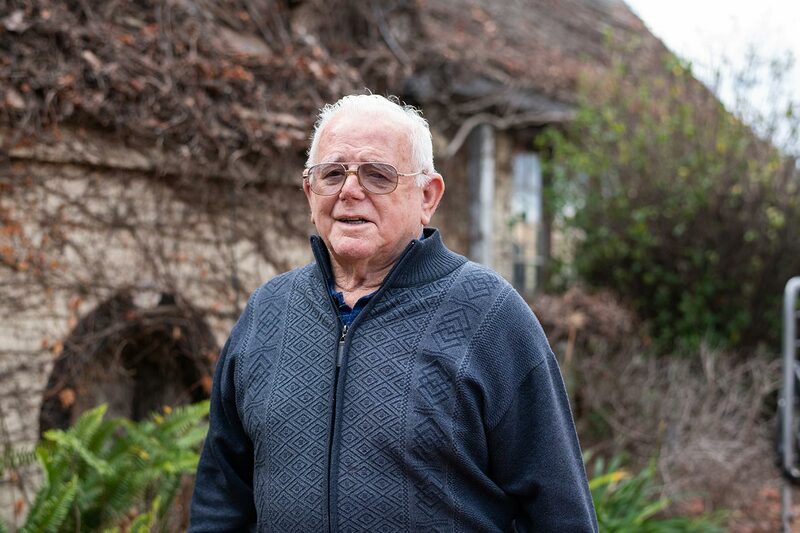 At Scalabrini, we specialise in care for those with dementia, putting an emphasis on improving quality of life. While dementia is the main symptom of many neurological disorders, it is not a disease itself. It can be hard to make the distinction between types of dementia since those experiencing it often have trouble describing their symptoms. There are over 100 different types of dementia stem from that stem from brain disorders. Dementia shares many symptoms with other treatable conditions. For this reason, it’s always good to visit the doctor for a formal diagnosis. Dementia-like symptoms can exist as a result of unrelated conditions like alcoholism, hormone disorders and depression. So there’s no need to jump to any conclusions right away. Short-term memory loss dementia testing, you can try to ﬁnd an existing reason like routine blood or eyesight test. Language problems At Scalabrini we’ve also found that a calm and supportive attitude also goes a long way. for many people, so it can be hard to make the first step. dementia testing, you can try to find an existing reason like routine blood or eyesight test. At Scalabrini we’ve also found that a calm and supportive attitude also goes a long way. Without a doubt, recognising the early signs of dementia can be a challenge. Symptoms are progressive – making them hard to notice in the early stages. If you have a friend or family member whose symptoms are gradually becoming more severe, this can indicate the early onset of dementia. To recognise the early signs of dementia, you need to look out for these increases in severity. For example, it’s normal to occasionally have trouble remembering a name or ﬁnding the right word in a conversation. Usually, we remember these details later. If you notice a friend or family member has increasing trouble with familiar names or simple words they may be experiencing the onset of dementia. Another symptom is difﬁculty performing familiar tasks. It isn’t too out of the ordinary to become distracted and forget to hang out the wet washing in the laundry. Someone with dementia, on the other hand, may not just forget to hang out the washing, but also forget they did and laundry at all. Caring for someone with dementia is a difﬁcult and emotionally straining task – especially when a loved one forgets who and where they are. 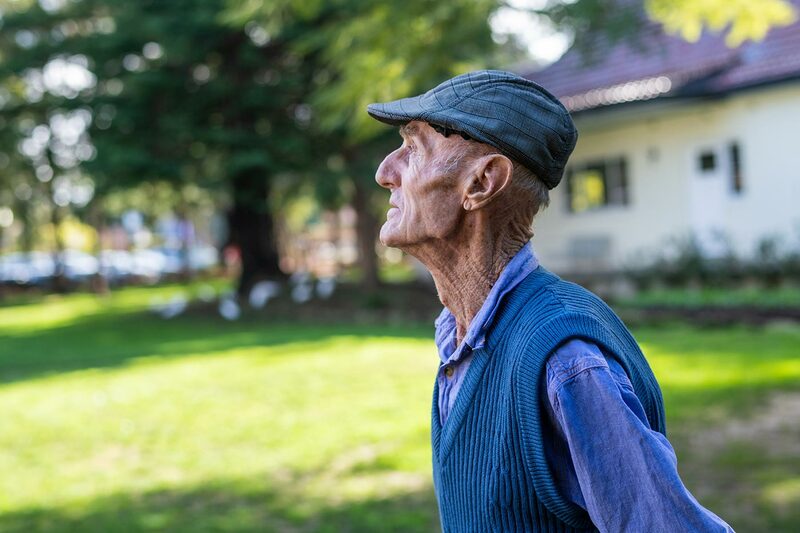 Experiences vary, but generally a gradual decline in the ability to perform everyday tasks makes dementia suffers very reliant on full-time care. Although there is no known cure for dementia, the symptoms can be managed with the right care. 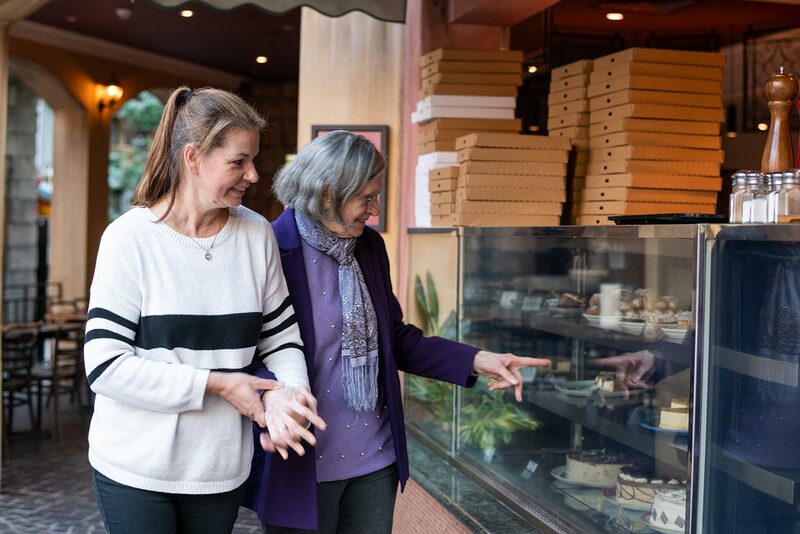 Scalabrini’s entire philosophy centres around ‘Sono Io’ – Italian for ‘this is me’ – empowering those with dementia to make meaningful connections and live purposefully. We’ve embedded this strategy throughout our villages, from the way staff act, through lifestyle programs and our Dementia Excellence team. Dementia care can be difﬁcult, and you don’t have to take it all on yourself.